Gina’s practice is founded upon an integrative approach to medicine that recognizes the unique state of each individual’s specific condition. Her approach is to become a facilitator in the health and healing of her patients. The body’s natural healing process is encouraged through the use of the diverse methods contained within traditional Chinese medicine. Gina Butler received her Masters of Acupuncture and Oriental Medicine degree at the Seattle Institute of Oriental Medicine in Seattle, WA in 2004. She is nationally board certified in both Acupuncture and Chinese Herbal Medicine by the National Certification Commission for Acupuncture and Oriental Medicine (NCCAOM) and is licensed by the State of Missouri to practice acupuncture. After completing her training, she began her practice in Washington State. She has also practiced in Oregon and now Missouri where she resides with her husband and son. 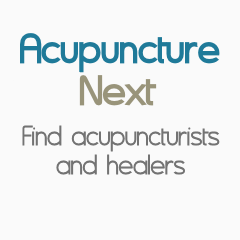 You can also post your request on the Bulletin Board here and one of our acupuncturists will contact you.